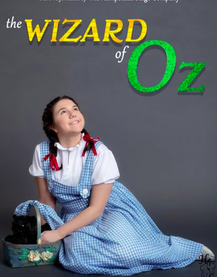 The Wizard of Oz Friday, April 19, 2019 at 10:30 AM - 11:30 AM Anderson Branch meeting room Join Dorothy in this classic adaptation of L. Frank Baum's The Wonderful Wizard of Oz, as she embarks on a strange and enchanting adventure. A live performance by The Hampstead Stage Company. Friday Morning Children's Storytime Friday April 19, 2019 11:00 AM Join us every Friday morning for Storytime and activity fun!